9ct yellow gold, small polish knot stud earrings adorned with sparkling diamonds. A twist on tradition, these stunning 9ct gold stud earrings will complement the look of every outfit. 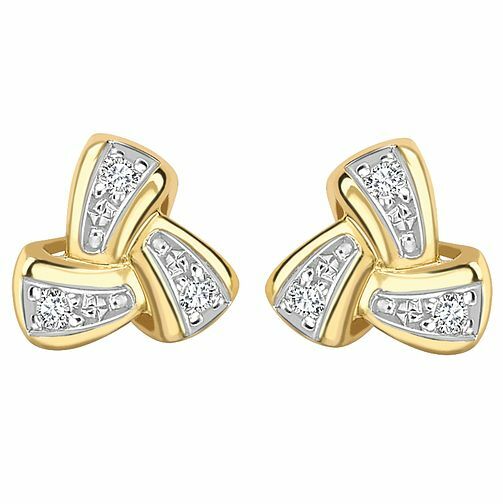 9ct Yellow Gold Diamond Knot Earrings is rated 4.5 out of 5 by 2. Rated 5 out of 5 by Anonymous from Beautiful ear rings I bought these for my wife as a Christmas present and she is delighted with them.